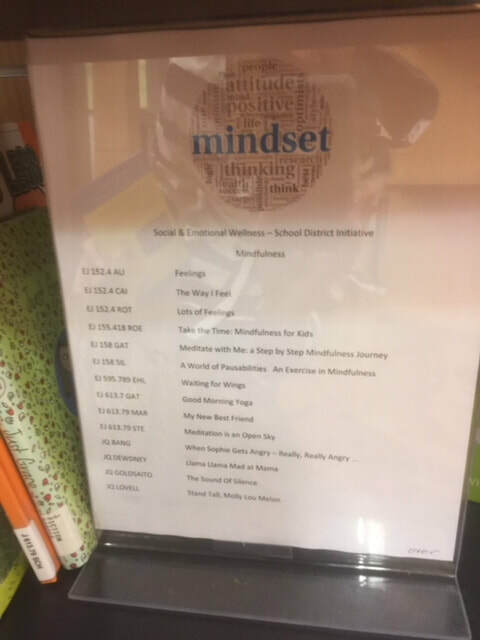 Did you know that the Emotional Wellness Committee has recently put together a book section at the Lake Forest Library that focus around mindfulness and dealing with our emotions?? Spirit Days are fun ways for students to get involved and show their Everett Spirit! October 25, 2017: Stomp Out Bullying-Wear Orange! April 23, 2018: Earth Day-Wear green! A Special Thank you to Everett's APT Emotional Wellness Committee for putting together this excellent mindfulness activity for our students and teachers! Students were involved in an interactive Read-Aloud of the story, Moody Cow Meditates by Kerry Lee MacLean. Both teachers and students were very engaged and calm during this activity.